London – 9th June - UK Businesses are already dealing with the UK’s forthcoming departure from the European Union, grappling with currency fluctuations, rising costs and the potential implications of Brexit. Now, with the general election result of a hung parliament, the added uncertainty is only feeding their anxieties. Business secretary Greg Clark, called the leading business representative groups into the Department of Business, Enterprise and Industrial strategy for a meeting at 9:30 this morning after the news of the general election result. Director-general of the Confederation of British Industry (CBI), Carolyn Fairbairn, told the BBC that businesses “will be pretty stunned” by the election result, and that “the main concern in the short run will be the uncertainty”. Fairbairn called for whichever party forms a government to keep “a strong eye on financial stability” and to put “the economy right back on the agenda”. Adding that businesses “will be looking to the government to create a functioning administration quickly”. Unusually, big businesses went into this election divided in its political allegiances. Traditionally loyal to the Conservative party, May’s pioneering of a hard Brexit with a departure from the EU’s single market and an abandonment of free movement lost her support in the business community. While some senior British business leaders are raising their concerns about the uncertainty that a hung parliament will cause, others are hopeful that it will lead to a softer Brexit. Business lobby groups such as the Institute of Directors and CBI have recognised the key demands of both businesses big and small across the UK and called for a continuation of membership to the single market and clarity over a new visa system and immigration regime. Prioritising a continued supply of skilled labour and a beneficial trade agreement, many believe if that the outcome of the election results in a softer Brexit, it could outweigh many of the other concerns for both big business and SMES. While nothing is set in stone, here’s what we know so far about how the election could affect your small business. During political upheaval, the pound fluctuates against the major currencies, increasing the pricing pressures on goods and services sourced from overseas. Despite the pound plummeting, the FTSE rose more than 1pc on opening, which could indicate that the result is welcomed by business as the likelihood of a hard Brexit is weakened. Customer confidence tends to drop during major political events, particularly surrounding election times. UK small business owners are likely to delay buying decisions until things are more settled. Taxation is among the biggest concerns for most businesses. Until a decision is made about which party or parties will lead the country, many businesses will be unsure of their financial projections. During elections, both the central and local governments cannot make changes or announcements that could hinder specific parties. For businesses that depend on certain legislations, I can be difficult for them to solidify their growth plans. 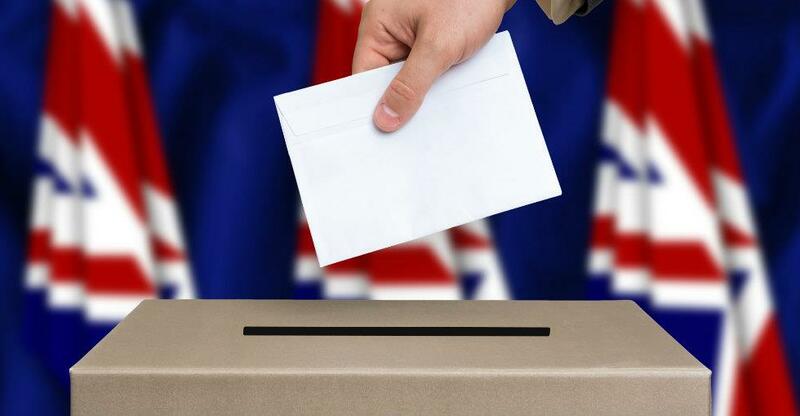 How has the general election affected your small business? We would love to hear from you, comment below or tweet us at @Be_theBoss.